Questions about Hardware Resources VAN009-T? 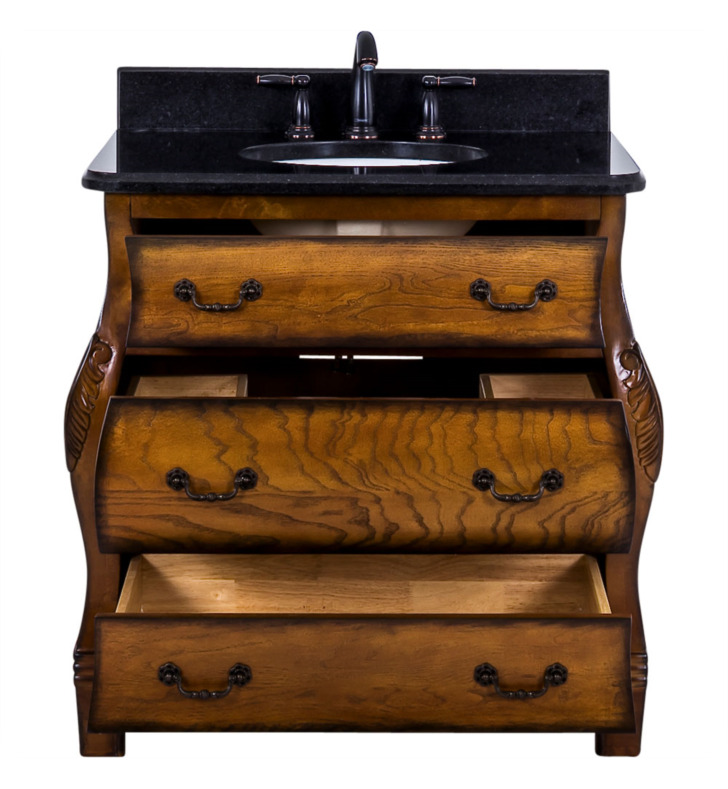 This 34" wide solid wood vanity has a rich walnut finish that showcases the depth and dimensions of the wood grain and burl. 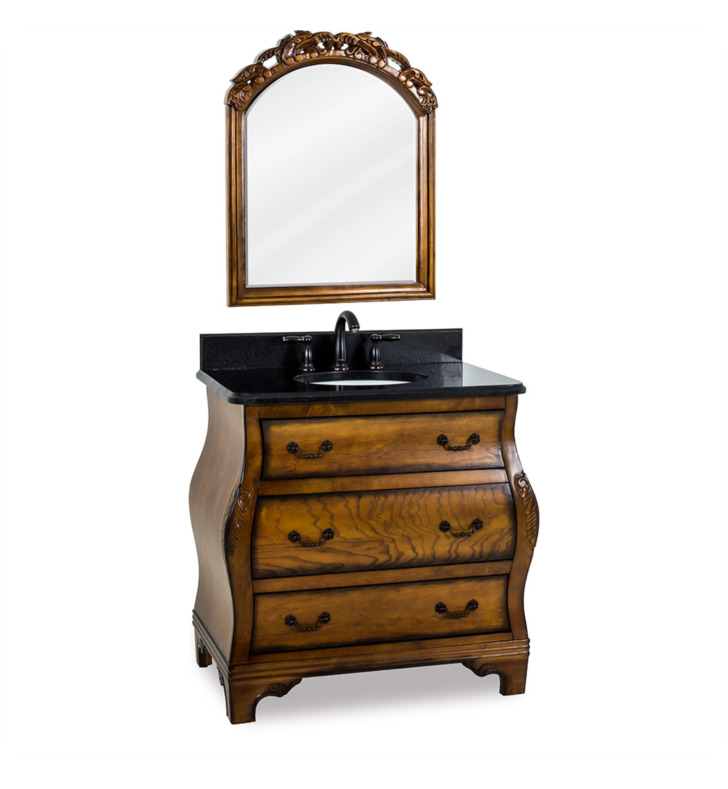 This vanity features hand-carved botanical details on both the vanity and the corresponding mirror. With three fully working drawers, two fitted around the plumbing and the bottom a full drawer, equipped with full extension slides give this vanity ample storage. 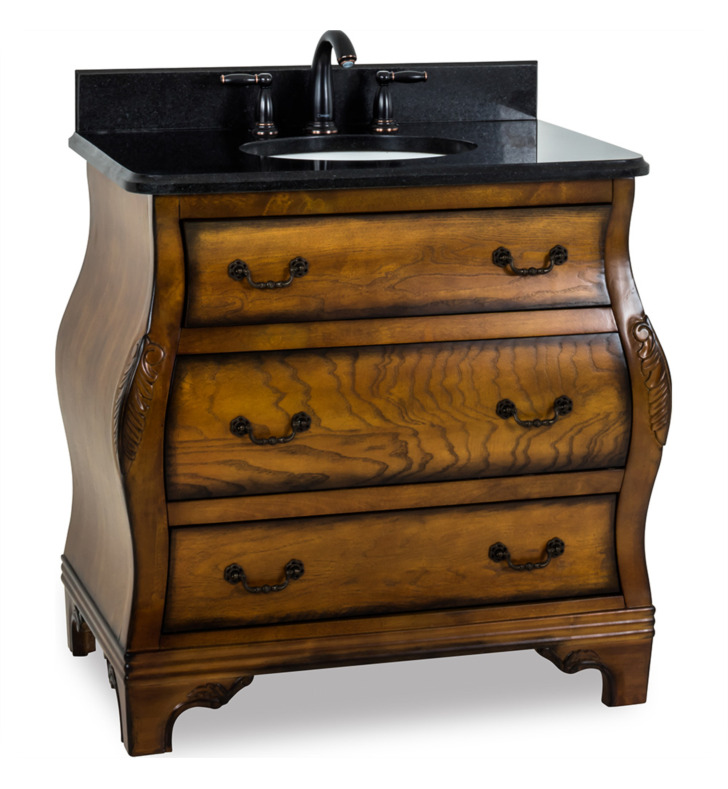 This vanity has a 2.5CM black granite top preassembled with an H8809WH (15" x 12") bowl, cut for 8" faucet spread, and corresponding 2CM x 4" tall backsplash. Vanity: W 34" x D 21 5/8" x H 33 3/4"